Take Highway 19 North from Weeki Wachee past centrailia follow to Palmdale Road turn Left take 2nd Left onto Parrot Rd go to the end Home on the Left behind Gate. Hello, I’m interested in 18027 Parrot Rd and would like to take a look around. 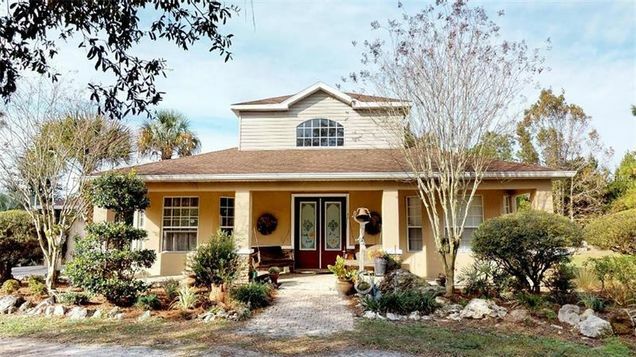 The details on 18027 Parrot Rd: This house located in Royal Highlands, FL 34614 is currently for sale for $305,000. 18027 Parrot Rd is a 1,838 square foot house with 4 beds and 2.5 baths that has been on Estately for 4 days. 18027 Parrot Rd is in the Royal Highlands neighborhood of WEEKI WACHEE and has a WalkScore® of 4, making it car-dependent. This house is in the attendance area of Winding Waters K 8 School and Weeki Wachee High School. Listing Courtesy of: MFRMLS and PEOPLE'S TRUST REALTY INC.